I had an 8:00 dentist appointment this morning, so I went out for my 3 miler earlier than usual. But not before checking my email and finding the message I had been anxiously anticipating for four days: “BOIL WATER ADVISORY IN LIVONIA HAS ENDED.” This past Saturday a brief power outage at a pumping station prompted my city to issue a boil water advisory out of concern for potential bacterial contamination. Residents were urged to consume only bottled water or tap water that had been boiled. We had a case of bottled water in the house and picked up a second for good measure. We boiled a pot of water and kept adding to it from the tea kettle as it was used. Drinking bottled water was not really a problem, but cooking, washing fruit, vegetables, and dishes as well as brushing teeth were an inconvenience. We were ready for it to end as soon as it began. 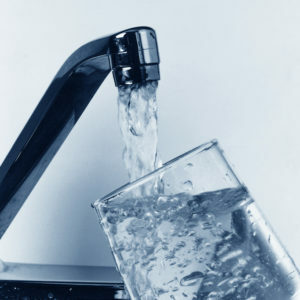 Along with this morning’s news that the advisory had ended came word that the water in the Great Lakes Water Authority system had not been contaminated and was completely safe to drink. As I made my way around my 3 mile loop I couldn’t help but think about the kids in Africa that I am running for. They don’t ever get to drink water from a tap or a bottle. Their water is contaminated every day. And they typically have to walk more than 3 miles each way, every day, to fetch the less-than-sanitary water that is available. Many of them will not live to the age of five due to disease caused by unsafe water. I said a prayer of thanks for how blessed I am and pushed ahead, determined to do what I can to bless others with the gift of clean water. Great post, John. We have so much to be grateful for. Thank you.